The biggest problem with visiting Japan and being a sports lover is finding out where the games are and how to get to the games. While there is ample information about when the games are, it can be difficult to know how to get there; where to sit; and what to do at the games. This is part of a series of posts designed to help you navigate to the stadium and enjoy the game as much as possible rather than getting lost in what to do. *All information is valid as of the start of the 2019 season and subject to change. 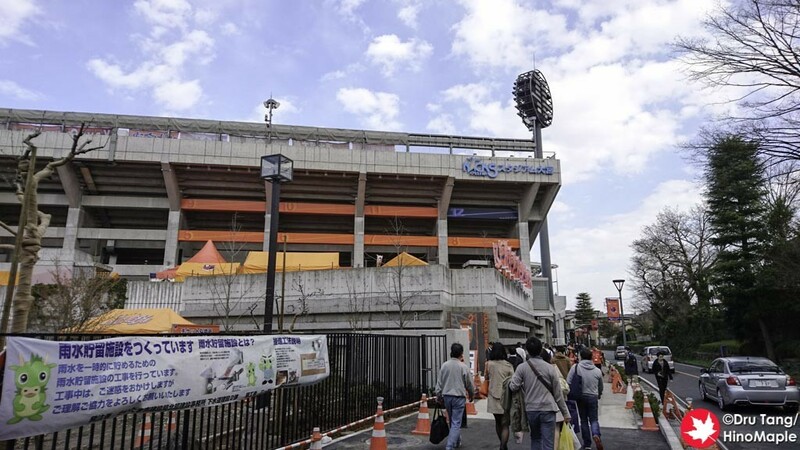 Omiya Ardija is the only team at NACK5 Stadium. 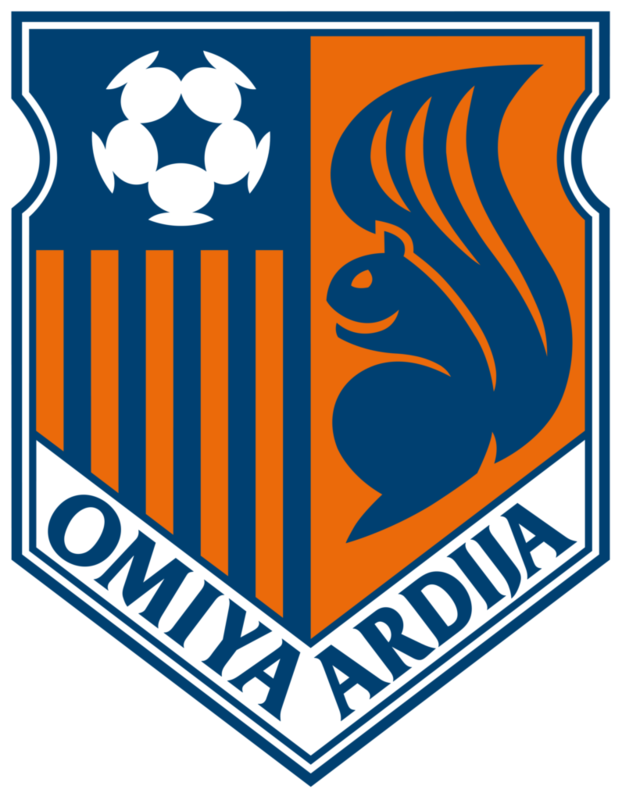 Omiya Ardija is a small team that has been playing in the J League, Japan’s football league, since 1999. Initially a J2 team, they became a regular J1 team in 2005 before being relegated for the 2015 season for 1 year before winning the J2 championship to gain promotion back to J1 in 2016. From the 2018 season, they were relegated back to J2. There is a bus from Omiya Station to NACK5 Stadium but it is not a regular service. You can take the “大15” bus from bus bay 6 at the East Exit. Note: It costs 210 JPY each way; 206 JPY if you use an IC Card. Most people will walk to the stadium as it is only a 20 minute walk. It is highly recommended to print out a map before going to NACK5 Stadium for the first time. From Omiya Station, head out of the East Exit and look to the left side of the main drop off area. Look for the Ardija sign at the top of a shopping street entrance for Suzuran-dori (すずらん通り). If you walk down Suzuran-dori, just walk to the end of the street, turn left, and then right at the light. By the end of this street you’ll be near the entrance to Hikawa Shrine. There is a sign pointing towards Hikawa Shrine. Turn left and follow the path to Hikawa Shrine. Once you get to the entrance of Hikawa Shrine, head right along the small road that had been adjacent to the path to Hikawa Shrine. Follow this road, which turns right after Hikawa Shrine, to the stadium. At the stadium, there are 3 gates located at each corner. The northwest corner is gate 1; for backside seats and home side supporters. Gate 2 is on the southeast corner for main side seats and home supporter overflow seats. Gate 3 is for visitor supporters only. Be sure to go to the gate written on the tickets. *Discounts available to fan club members. J-league has its own website in English to purchase tickets for some teams, including Omiya Ardija. It is the easiest method to buy tickets if you cannot read Japanese. Note: Tickets are usually released 1-2 months in advance. If you can read Japanese, you can go to any convenience store or sign up on Omiya Ardija’s website. You can even become a fan club member to get big discounts on tickets. If you plan to watch more than 1 game, or buy more than 1 ticket, joining the fan club is worthwhile. It costs 3,000 JPY to for a 1 year membership plus 500 JPY for the membership card. Membership card fee is waived if you choose a digital card. You get discounts of up to 1,600 JPY on home game tickets. The physical fan club card doubles as a Nanaco card which is a type of digital wallet. It can be used within the stadium, at 7-11 convenience stores in Japan, and other places that accept Nanaco cards. Buying tickets on the day of the game, or at the stadium, is possible but it is a risk. Games can sell out but you do have a chance to get tickets. If you cannot plan your schedule, and the game is against a small team, you may have a chance to get tickets, but if the visiting team is a popular team or a rival team you are unlikely to get tickets. At the corner where you turn left towards Hikawa Shrine, there is a small fan shop called Orange Square. 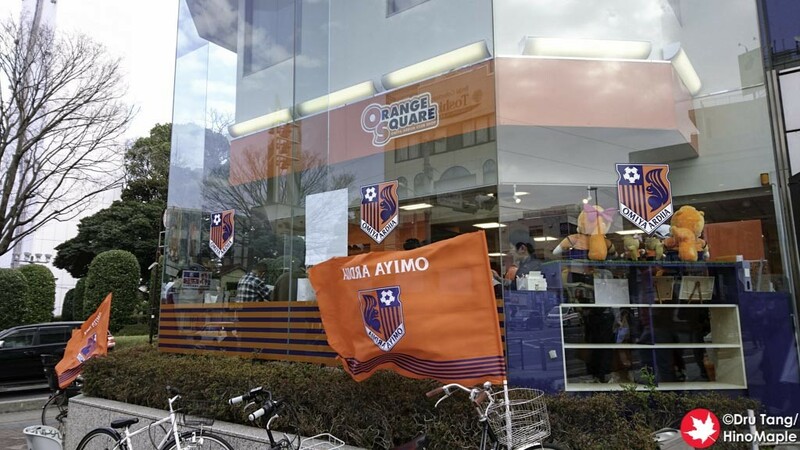 If you want to get Omiya Ardija merchandise, this is the best place to do it. Alternatively, inside the entrance of Gate 2 and behind the Home Supporters stand there are club merchandise shops. 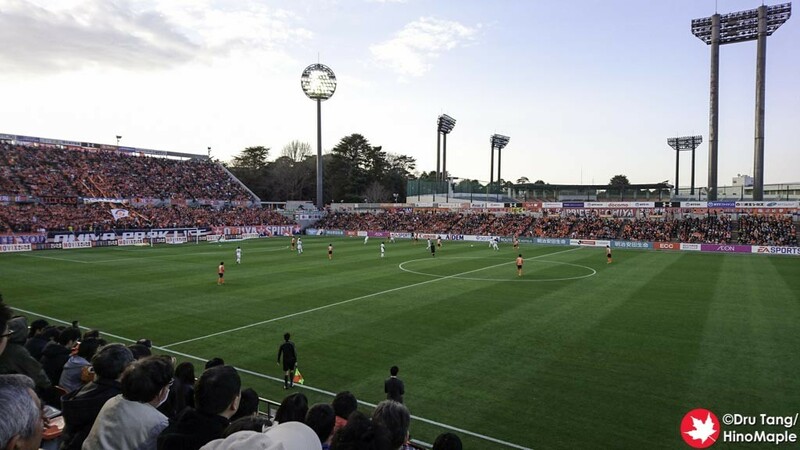 This entry was posted in Stadiums and tagged japan, NACK5, NACK5 Stadium, NACK5 Stadium Omiya, Omiya, Omiya Ardija, Saitama by Dru. Bookmark the permalink.